SOFIA, Bulgaria — It is a “force majeure”moment in Europe. In France, the “yellow vest” protesters are burning cars anddestroying shops, accusing President Emmanuel Macron, the darling of thepro-European progressives, of Marie Antoinette-style arrogance and disrespectfor the concerns of the ordinary people. In the United Kingdom, the utterfailure to broker a Brexit deal has turned into a national tragedy. Severaldays ago, in an open letter to his compatriots, Dutch Prime Minister Mark Rutteconcluded that Britain had “dropped the vase,” shattering the country’sdelicate unity. He compared politicians who stir up divisions to “screamingsideline football dads” shouting loudly without thinking about the consequencesof what they say. “Force majeure” is a legal concept that allows you to get out of acontractual obligation under exceptional circumstances. It is also the name ofRuben Ostlund’s 2014 film, a black comedy about a professional couple who taketheir two beautiful young children to an upscale ski resort somewhere in theFrench Alps and face an unexpected “trauma” that permanently alters theirrelationship. Everything is going perfectly until the family, while enjoyingsome sunshine at an open-air mountain restaurant, sees an avalanche descendingtoward them. A tidal wave of snow envelopes the restaurant. And withoutthinking, the father flees, abandoning his family to save himself. When thesnow settles, everyone realizes that it was a false alarm — it was a“controlled avalanche” gone slightly awry. No one is hurt. The father returns,and behaves as if nothing significant had happened, but the mother is livid.The rest of their trip is soured by the father’s moment of instinctualselfishness and his refusal to admit fault. Ostlund’s film is a perfect analogy for whythe meritocratic elites have lost the trust of the people. The collapse ofLehman Brothers was the world’s “controlled avalanche,” and the best and thebrightest ran away — and quick — to save their money and banks, forgettingabout those who needed their help. They have never ceased to deny that theyhave done so. And thus, not surprisingly, the majority of the people have cometo regard the meritocratic elite as a mercenary elite, always ready to run fromthe table. They lack the word “sacrifice” in their vocabulary. They do notbelong to the community, but they want to be respected, admired and even loved. So who do the people trust, then, if theydisdain the meritocrats and disregard the populists? The answer, based onopinion polls, is a profoundly puzzling one: Today, the military turns out tobe the most trusted institution in most European countries. It is likely notbecause of any recent glorious victories nor because Europeans love war. Mostprobably, the public’s trust in the military elites could be explained by thefact that they are the only ones who do not have a “force majeure” clause intheir contracts. For the military to serve, it must sacrifice for others. Thisis exactly what people expect the elites to do. If leaders like Macron wish to counter thedivisive strain of nationalism that grips their nations with their own brand of“patriotism,” they must recapture the public’s trust. And to do so, they musttie their own hands to the table to prove that when the next avalanche hits,they will not flee. 1、I remember well whensupporters of Hillary Clinton argued that it was okay for her to accept$250,000 for a one hour talk to Goldman Sachs and other elite banking andinvestment groups. Why, theyargued, it was perfectly legal for herto do so just like it's perfectly legal for any other big name political figureto solicit and get this type of payment. Sure it's legal and that's the problem. The wealthy and well connected (the two are virtually synonymous thesedays) wrote these perks into law for themselves and their wealthy friends. How do you tell a person making $40,000 ayear that these kinds of payments are okay because they are legal. As for Macron, he blamed the working stiffsof France for their predicament. Macroncame from a privileged background. He'sclueless about how difficult it is for ordinary folks to make ends meet in thisnew economy. Brain dead andclueless. （回复1）what i have noticed, especially from the elite economist,is thatthey always look at the macro economic statistics,and use that to justify theirpolicy. what they ignore is that the policies whichthey love so much,are grossly unfair in how they distribute the cost of thebail out. so some people, the bankers, actuallyprofit from the bailout.while others, the little people, the savers, pay thecosts.this process plays out through elite manipulation of money itself.as anunintended consequence, it destroys the social compact.hence, raging, angry,populism. and when the current bubble collapses, andthe increasing poverty of the many becomes more apparent, populism will gaineven more traction. essentially, the foreign policy elites, theneocons, were utterly discredited by the iraq war disaster and the bankingelites are utterly discredited by the 2008 meltdown and bailout. 6、Insightful...simplistic, in a sense, but insightful. True elites (not those merely labeled as elites, but those with actualwealth and power) are increasingly less moored in the culture, society, andfate of nations. They are, in many cases, a culture and world unto themselves.Borders mean little to them. It seems that the greatest beneficiary ofall this "populist unrest" isn't the people protesting, but someoneoutside that stands to gain from the growing weaknesses of nations andinstitutions that result. 8、I don't think thesolution is all within the elites. At some point, the people will need to seethat populism and nationalism are empty, leading to worse results, and somelevel of rule-by-so-called-elites is unsatisfying, slow, but effective. There'senough quotes out there by dead philosophers that dumb people don't make for agood democracy. We need to either get smarter, or we lose our democracies. 9、Because you cannever make 100% of the people happy 100% of the time. Populism is nothing more than pablum forthe masses. 10、Macron cut taxes onthe wealthy and raised taxes on everyone else (gas). It doesn't take a deviousforeign leader to stir up discontent when Macron is all "let them eatcake"
14、Biggest problems inthe world today are a global population explosion, ever increasingenvironmental/capital destruction, and militarism. Scary fact (as the "have" nationscircle the wagons to keep out the "have nots"), is the onlyinstitution they seem to have faith in is the military. So now you have the external"enemy" - - the outsider teeming non-white masses, and the internal"solution" - - Fascism? 15、A lot of this isspot-on. 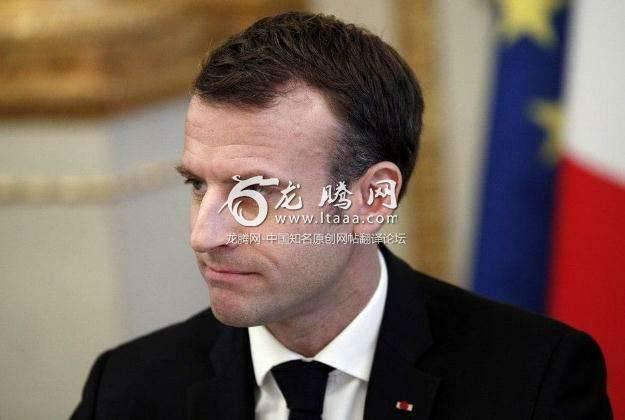 This is not my thought, but I would echo others' thoughts that, inFrance, Macron is a leader without a following, and the yellow vests are amovement without a leader. It's hard to negotiate in that circumstance.